Be prepared to have your notion of reality changed by a master of deception. Thinking up a hens night activity for your best friend but want it to carry an element of class and sophistication? Are the standard ideas for hens nights lacking style? Well then, we have just the hens night activity for you and your friends: a show performed by our legendary magician Luke Hocking. Hocking’s performances have wowed audiences throughout the world and even taken him to the 2016 Grand Final of Australia’s Got Talent. 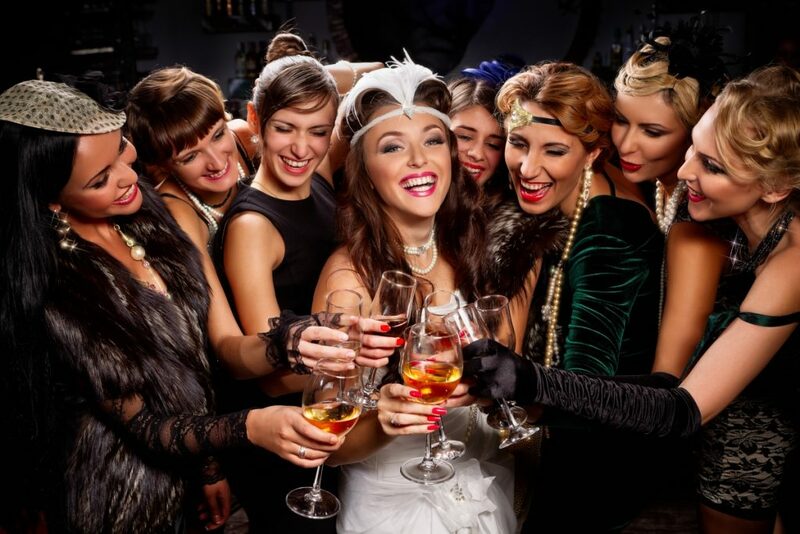 You, the bride and all your friends will be amazed and astonished by the baffling spectacle created by this legendary magician, and you will all leave the show with the understanding that you chose the best hens night idea in the fabulous City of Melbourne. Held in the lavish function centre of the famed 5 star Marriott Hotel, Impossible Occurrences evokes images of decadent days gone by, where magicians performed their craft in front of sophisticated, baffled crowds in spectacular settings. The most astounding thing about Hocking’s show is the manner in which it is performed. No smoke and mirrors, no sneaky effects, just magic, illusion and mind-reading conducted inches from your very eyes – is this not the perfect way to spend your Melbourne hens night? Naturally, you want to treat your bride and best friends to a scrumptious dinner before the big event. Therefore, Impossible Occurrences provides dinner and a show packages for guests to enjoy a stunning two-course meal at the 5 star Essence on Exhibition restaurant. The perfect complement to the Impossible Occurrences show, you and your friends will enjoy a stunning meal and complimentary wine before receiving priority seating at the grand spectacle. All dietary requirements can be taken care of by the wonderful staff at The Marriott Hotel prior to dinner. Ready to book the bride and your best friends in for an evening of astounding magic like no other? If you want to double up and make it dinner and a show, even better, and you can simply click here to make a booking for you and the party. Have a special place you want to enjoy dinner with your best friend and hens party before the big event? That’s fine, too, as we provide tickets for the event alone. Click here to make a booking. Be ready to have your notion of reality twisted turned by a master of illusion. Hocking will take you on your friends on a journey that defies language, cultural norms and, of course, logic. Impossible Occurrences is a performance of true elegance, sophistication and astonishing deception. We welcome all hens night to come and experience this truly wondrous event: feel free to make a booking through our website or contact us for any enquiries you have regarding the show or the pre-show dinner.